Many people feel that it is time to open up the public debate about sports wagering and face the reality that it is going on in many quarters of the country on a routine basis. At present, US based sports betting is illegal in most of the country, but events such as the Super Bowl brought an estimated $3.8 billion in untaxed wagering this year, some of that coming from illegal gambling operations. Notable personalities such as Senator John McCain of Arizona and NBA commissioner Adam Silver are adding their voices to a growing chorus calling for a debate on the issue of expanding legal sports betting. When NBA Commissioners call for legal sports betting, you know that you have some heavy hitters that are supporting the option. Sports betting has a long history in the United States. In the 1700s, early settlers in America relieved their long days of toil with bets on horse races, cockfights and human physical disputes. As athletic events became more formalized in the country, betting became more widespread. However, many people worried about the moral character of those who engaged in gambling activities, and most types of sports gambling were eventually made illegal throughout the country. It was in 1992 that Congress passed the Professional and Amateur Sports Protection Act that put a halt to the growing trend of sports betting. The act was passed to protect the integrity of sports games and protect vulnerable groups like young people from becoming too involved in gambling. However, betting continued unabated, although it was driven underground and to licensed and legal online sports betting sites that are US friendly,but that are regulated and located outside of the US. Currently, sports betting is only legal in Nevada, Oregon, Montana and Delaware. In all other states, it is illegal. In 2011, the residents of New Jersey voted to legalize sports gambling, primarily to help prop up Atlantic City’s faltering casino industry. Governor Chris Christie signed the bill, but a federal court blocked its implementation. In 2014, Christie and the state legislature tried again to repeal the ban on sports gambling, but was thwarted yet again by the courts. The issue is expected to come up before the Supreme Court sometime in the future. Many have begun to wonder why it is some states allow sport betting, while other do not. This inequality in legality seems at odds with the fundamental principles of the country. The increase of Libertarian ideals, which feel that people should be allowed to do as they like without government interference as long as they aren’t hurting anyone, is bringing greater interest to the issue of legalizing sports betting. Even those who object to gambling on moral grounds feel that government interference in the issue is unnecessary and unsuitable. Senator John McCain was once a vocal opponent of sport betting. His recent comments are in stark contrast to the opinion stated during his 2000 presidential campaign when he voiced concerns that wagering might irrevocably damage the integrity of sports if it were allowed on a regular basis throughout the country. However, it appears that the senator has experienced something of an epiphany on the subject. He now feels that the Congress should have hearings on sports wagering to determine its potential effect on sports, with an eye toward legalization. His goal is to find a consensus on sports wagering to determine the best course of action on the topic. This seems a worthy endeavor for a Congress that has turned a blind eye to the reality of sports betting for decades. 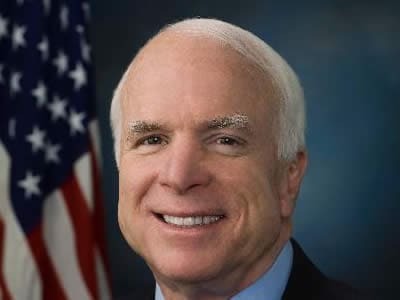 Perhaps, Senator McCain’s comments will spark an honest review of the subject that will eventually produce more reasonable legislation on where and when wagering on sports will be allowed.